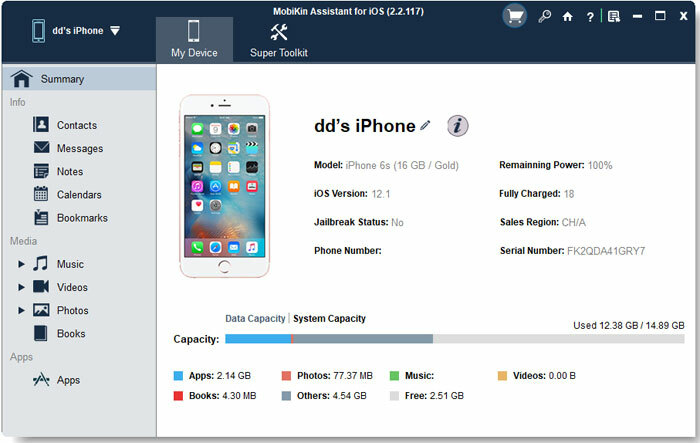 How Can I Export iPhone Files to Flash Drive? Home> Resource> iOS Transfer> How Can I Export iPhone Files to Flash Drive? Flash driver refers to the drive with the flash drive that is the electronic storage medium that can be electrically erased and reprogrammed. The flash drive people are usually talking about indicates the USB flash drive which allows the users to back up or copy the files with a large size on the drive. And then carry the movable USB flash drive to the other place because the drive is small, light and easy to be carried everywhere. After that, users can just plug the flash drive to a computer and then files can be changed or rewrote on the computer. Thus the USB drive is widely used among workers and students. From time to time, you may want to export the files from iPhone to the flash drive as a backup or export the files to other spaces. Then do you know how to export the files on the iPhone easily and quickly? Here we will offer you the simplest method to perform the transferring process. In order to achieve the goal, you need a third party tool - MobiKin iPhone File Transfer (Windows/Mac) as the helper. Here is the brief introduction to the main features of the software. 1. 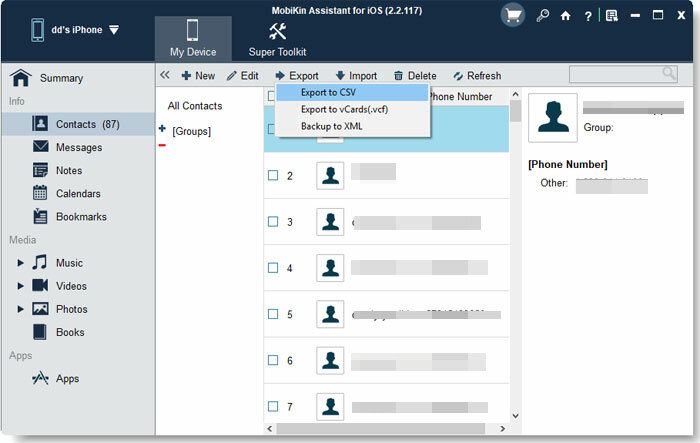 The software can help iOS users transfer files like contacts, SMS messages, books, videos, music, notes, safari bookmarks, voice memo, podcast and so on from the devices to the computer simply and efficiently with one click. 2. With high compatibility, it can support various iOS devices such as the different types of iPhone, iPod and iPad. 3. The operation of the program is easy. What's more, the software will detect and scan all the files on the devices automatically and thoroughly. Then all the data will be displayed on a window as many categories so that it will be easy for you find the target files. 4. The files like contacts, SMS, notes and safari bookmarks will be exported as the HTML format. 5. The software is totally clean without any spyware, adware, or viruses. There are two versions available and you can choose one according to the operating system of your computer. Just download one by clicking the icons. Want to know more ways to backup iPhone X/8/7/6/5 files? Please don't hesitate to click here to learn more solutions. Install and run the software you downloaded on the computer and the use the USB cable to link your iPhone to the PC. Then you may see the interface like this. The main parameters of the iPhone is on the right panel and many categories on the left panel. Click the options list on the left panel according to your needs and you will preview the detailed items on the right panel. Then check and mark the data on the right panel. Finally just hit the Export icon on the top. By the way, if you cannot find the files you want directly, you can use the search box on the top right corner. Just plug the flash drive to the computer and then it will be detected automatically by the computer. Open the folder of the flash drive on the computer and copy the files from the computer to the folder. Want to have a try? Just download it.